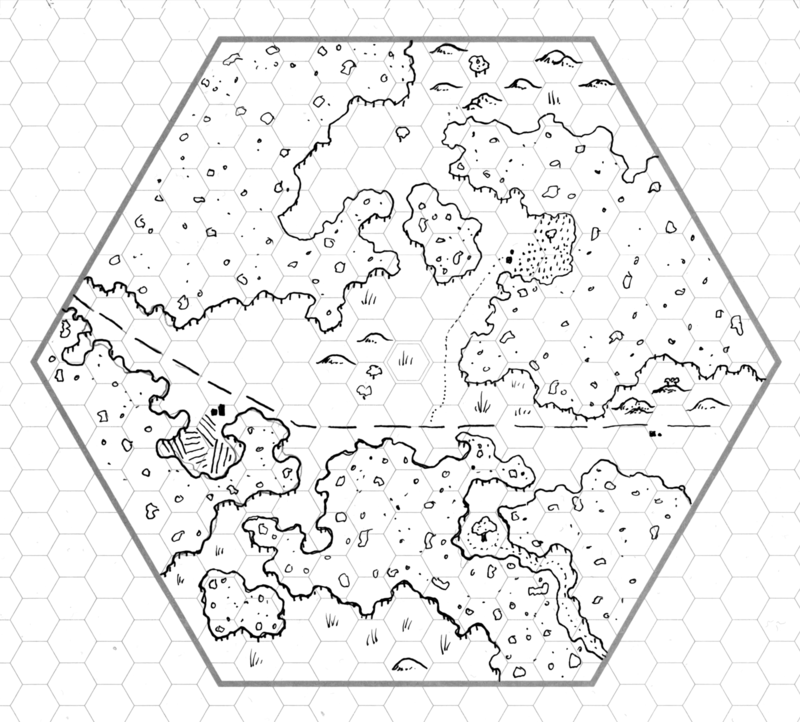 This hex sits to the lower-right of Baraloba and is mostly a forested hex cut through by the road that leads from Baraloba to the distant Citadel on Sabre Lake. Along the road we run into a few classic items for a D&D game – there’s a large farm near Baraloba itself , a trail leading off to an abandoned logging camp to the north, and finally Strickson’s Auberge, a traveller’s inn roughly 9 miles outside of Baraloba (about three hours travel time). North of Strickson’s Auberge is another of the ancient giant’s towers overlooking the inn and valley, now slowly collapsing. Southwest of Strickson’s Auberge is a clearing in the woods with a single massive tree at it’s centre. A trail leads deeper into the woods from the tree, probably to another town, or perhaps the base of a small group of humanoids who host their religious activities at the tree. Thank you. I’ve been hoping for more of these. There’s a fifth coming out next week, and then #6 and #7 will show up next month. This fills me with great joy.